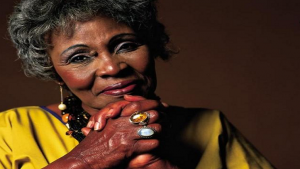 At a moving church service, Jazz legend Dorothy Masuka‘s family and friends paid tribute to her. Masuka died on Saturday at the age of 83. She suffered a stroke in 2018. A sultry voice that’s fallen silent, but a rich legacy. To her fans, an idol, to her loved ones, the glue that held the family together. Masuka’s grandchildren have described her as beautiful with a big heart.